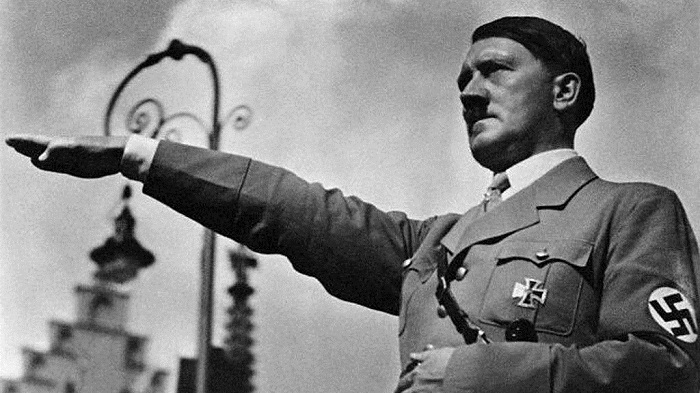 Was Hitler racist in his heart? How come no one ever asks this question? According to Google, those words in that order do not even appear on the Internet – until just now with this post. Why is that? Because it is a brainless question. Yet people keep asking or answering this question about President Trump, on both the left and the right. Exactly. We are being asked not to believe our own eyes and ears for the last 3.6 odd years. It moves the question of racism from words and actions, which are knowable and affect other people, to his heart, which is unknowable and affects people only to the degree that it affects said words and actions! Disparate impact vs intent: This goes way beyond Trump’s heart. In US law “disparate impact” (that Blacks, etc, were harmed more) is often not enough to prove racial discrimination. Sometimes you have to prove racist intent, which is way harder. That is why no one has been able to prove in court that the New York Police Department (NYPD) is racist. Or that the courts themselves are racist. Institutional racism: The idea that racism is found in the heart, or maybe bones (“not a racist bone in his body”), makes it personal, when much of racism is institutional, systemic, structural, automatic, programmed, as American as cherry pie, as American as the word American. It has been baked into US society since the late 1600s. Even if your heart was washed clean and all your racist bones removed, you would still, for example, have your head filled with Eurocentric and racist ideas from school and television. Most people in America are apart of the subconscious racist machine, whether they know it or not. We need leaders who are aware of institutional racism and brave enough to directly combat it. Lots of critical thinking needs to be done before I can post on this. The Black Waffen SS members didn’t seem to have a problem with him. Short synopsis: Colonized peoples saw in WWII an opportunity to overthrow their European overlords with the aid of those overlords’ enemy, Germany. But Hitler would definitely have turned on them in the end, like he did to Russia and based on his known anti-black sentiments. Hitler wore his racism as a badge of honor – Trump allows other’s to do it for him. Hitler’s regime was doomed from the start. The Soviet Union bore the brunt of his attack and destroyed his army. The war with Britain and the USA was a sideshow. He did the peoples of Africa and Asia a huge favor by weakening the old empires of the UK and France. Regardless of his feelings toward Blacks, he would have been as successful as Britain and France were in keeping their empires going. Abagond, I think we need to stop using terms like ”racism”, ”bigotry” or ”prejudice” and other umbrella and non-discriminate words. Since, anyone (i.e. Indians, Arabs, Asians etc) can claim to be the victim of the above terms. However, ”anti-black’ or ”anti-blackness”’ is probably a more appropriate term going forward as to the condition of black American DACS. On another note, Abagond, could you please do a post on the now emerging term ”ADOS”, ”AADOS” OR ”DACS” to describe black American descendants of slaves in the U.S.? And that, folks, is what you call knocking it out the park. There’s probably not many better examples of White privilege than being White and believing you get to define “racism”. Was Hitler a racist in his heart? I truly believe he had racism in his heart, along with all the racist bones. However, he never would have risen to power were it not for all the racists without racism in their hearts. I would wager that many of the White people reading this blog don’t have racism in our hearts. That doesn’t give us a pass. It doesn’t mean our actions (or more often our apathy) shouldn’t get us labeled a racist. In my mind, racism is defined by those that are negatively impacted and if they’re telling us that something we did or said caused harm, then it’s on us to change. Because knowingly and deliberately continuing that behavior once we have that knowledge… well, that makes us racist by any definition. Please do not try to mischaracterize what I posted gro jo…..thank you. Wish you best of luck with that. Cherry Boy, I didn’t “mischaracterize” anything. I expressed my opinion on the ”ADOS”, ”AADOS” OR ”DACS” nonsense and pointed out its white equivalent, “MAGA”. I contrasted both to Ghana’s law of abode. I’m as free to express my opinion as you are. If you disagree with me just state your reason for your belief, don’t waste your time telling me I “mischaracterized” what you wrote. All you did was express the desire for Abagond to write on the subject, I can’t tell what your opinion is on said subject. Jefe, old buddy, did you contact Marc Lamont Hill, you seemed to care about how he was doing and I provided you with the means to contact him? Do you still believe that Hong Kong can provide its own drinking water? Such nonsense. ”MAGA” is in NO way an equivalent to how one catergorizes decents of Amercan chattle slaves….NONSENSE!!! MAGA is a political solagan used by Trump and his followers as a catch all term for white (racist) people to promote and further the interests for white people at the expense of blacks and non-black pocs. My sole intent was to counter what seemed to be Rand’s implication of that photo somehow proving Hitler wasn’t racist. I didn’t intend to imply otherwise. Just expressing my belief that he wasn’t sincere in any alliance he made with them. He certainly wouldn’t have been the first to aid colonized people in their fight for freedom and then turn the tables on them. For instance, the United States had done it to the Philippines less than 40 years prior. Hitler’s biggest tactical error was his double-cross of the USSR. If the two had remained allies, the war’s outcome would have been very different. Impossible to say in what ways because of so many other factors. Cherry Boy, you forget that black people have been coming and going to and from the USA even before that nation was founded. So, what’s the big deal about being descendants of slaves? What special rights are you claiming because of that fact? Harry Belafonte and a number of famous Blacks would be excluded from such club even if they were born in Harlem like he was. ”ADOS”, ”AADOS” OR ”DACS”, like MAGA, exists to exclude some people of color just like MAGA. They are both children of “US exceptionalism”. It wasn’t a “tactical error” as you put it, Nazism was based on the subjugation of the Slavs, lebensraum he called it. It was an open secret that he intended to clear the steppe of them and resettle the Germans there. Shades of the conquest of the Americas! To paraphrase the great Aimé Césaire, the only thing white people can reproach Hitler for was using the same barbaric means on them that they used, successfully, to conquer Africa, the Americas and a good chunk of Asia. The interwar policy of the Soviet Union was “Collective Security”, an alliance between the Soviets, Britain and France to keep Germany down, championed by commissar for foreign affairs, Maxim Litvinov. Chamberlain is usually criticized for “appeasing” Hitler, he did that because he wanted Hitler and Stalin to go to war. These gentlemen were hip to the British hustle and made peace by tearing up Poland. The Nazi war effort was concentrated in Europe and a few misguided men doesn’t mean anything. 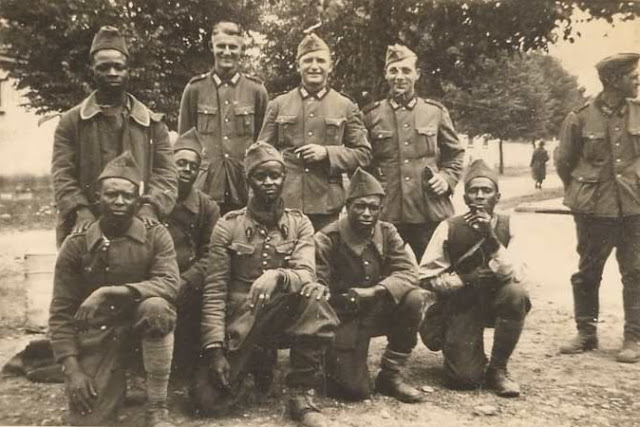 These men served Africa and elsewhere for a take over before their immediate disposal. The form of Empire that existed in the past does not currently exist but a global Euro-American empire does exist. It is just cloaked in universalistic terms like “International” in IMF or the “World” in “World Bank”. Cannily, it does not advertise itself. It is much better than past incarnations for the particular reason that it is so ubiquitous it is not even noticed or questioned. This is where Trump lacks sophistication because he is fooled by the rhetoric and threatens the order with his “America First” slogan. American leadership and policing of the existing global order is its investment in its own continued hegemony and security. Anyway, I agree with the whole idea that questioning whether racism is “in the heart” is pointless. This is invoked primarily for people whose actions suggest that they’re racist. Only then is the fantasy that heart and actions can be consistently at odds suggested. @Solitaire Thank you for the article about Germany and how they treated the blacks. I had read this before and failed to save the reference. The history of this world has been ugly. No group of individuals have escaped some major disaster over the past. Each believes that what happened to them was the worse. The volume of deaths prior to WW II in Russia and the deaths in China and of course the horrible living conditions must always be remembered. These deaths are current, within the past 120 years. While the deaths of the Jewish people must be considered, we have no way to know how many Jewish people exist because they live and lived all over the world and are hidden from view. The assault on Africa goes unreported so we do not have a clue about the problems and atrocities occurring their. The story of blacks is often spoken; however, it is difficult to find a solid base of writings and recordings. It has been the policy of most governments to not record black history. Few picture and recordings are available in comparison to the world history! The subject is Hitler and since all blame falls on him we do not know who else supported his cause; however, to ask “if Hitler or is Hitler ” is the wrong question. We must ask what the people of Germany allowed the leaders to do to them. Hitler was chosen to be the leader because he had an ability to “sell a bill of goods”! It was only later that he grew to have the power that he had and which was developed by others. Many people in Germany and Austria supported and supports the thought of the superiority of the “Aryan” (misnamed) people. When I heard Hitler speak I was impressed even though I did not understand a word he was saying. I was not impressed with Mussolini. To hear President Obama speak and then listen to President Trump you start to understand how a voice can move a mountain. Remember Dr King, JFK. Was Hitler evil depend on if you believe in evil or do you believe “power corrupts, and absolute power corrupts absolutely”! What is the number of deaths, injuries and displacement today and how does it compare with the past? Once again thank you for your article! No one. ABSOLUTELY NO ONE in their right minds would disagree that Trump is a racist. No doubt, some people are not in their right minds. Either they truly don’t think Trump is a racist in the face of overwhelming evidence, or they’re saying that to help advance a false narrative and gaslight others into believing the lie. Either way, such people are NOT in their right minds when they object truths and facts. Racist: What does it mean to whom? Hitler was anti-Jewish. But he blamed them for the economic conditions. Hitler hated the fact that Jesse Owens took all the medals from his Aryan superior athlete’s; however, he was responsible for the slaughter of millions of white Eurasians. I believe that racism is thought of as anti black by most. The Germanic people feel they are superior to most other people black, yellow (how ever you refer to the far east people) and white. He did not have any comment on Native Americans as far as I have read. Some one would have to study the history of the people of those European nations that have such a history of survival going back to the defeat of the Romans and beyond. The Eurasian is a combination of those people that have survive along the entire northern continent of both Europe and Asia over thousands of years. I imagine if a person were to study the history of the African leaders you would find the identical mind set. Several European groups (the Barbarians) actually invaded North Africa and Italy after the failure of the Romans to conquer them. So could someone define the word “racist” as it is used today. Just a though Before Hitler: Who were those people? Is the question did Hitler not like blacks or did he want to rule the world? Did Hitler place blacks in concentrations camps? What did Hitler do to blacks? Did the US citizens and government treat blacks better than Hitler?